Like so many castles of this area you would be forgiven for not knowing that one existed tucked away in the sleepy secluded village of Shrawardine, for its location is not easy to root out, from the main road it is not sign posted, and I had to drive for about 10 minutes before I stumbled upon it. It is without doubt one of the more forgotten Norman castles of the area, although the people of Shrawardine might have something to say against that! Approximately 9½ km from Shrewsbury, it is fair to say that in terms of tourism then the castle there always steals the limelight, but previously Shrawardine has had its own important strategic role to play in Marches affairs and in the process has experienced a very chequered history. There are two sites in this area, the main castle (of which this article focuses on) and a lesser known motte and bailey at Little Shrawardine. Both are located on opposite sides of the river Severn, to which Jackson argues their purpose could have been to guard some sort of a crossing. The area is also mentioned in Domesday (1086) although this would be before any such crossing was built. It seems likely though that the first motte and bailey at Little Shrawardine was founded by Rainald de Bailleul since he is attributed as holding the manor there. The problem is that no documentary evidence exists that names Shrawardine as a defensive location until 1165 (referring to the much larger major construction at Shrawardine). Here Phillip Helgot recognised his service of ‘castle guard the same his antecessors had been used to render being employed there.’ Therefore we have to be careful when attributing Bailleul to any building there, although he did hold other sites under the control of Roger de Montgomery, for example Oswestry. Of the site at little Shrawardine there are few remains, the western side having been completely eroded by the river, while the ditch separating it from the bailey has been converted into a track for anglers. Its basic shape however can still be distinguished with the motte being about 15m high above the river an 6m above the bailey. It is more than likely that this site was later abandoned after the much larger castle was established at Shrawardine sometime in the mid twelfth century. As pointed out before documentation regarding this site does not appear until around 1165 and is regular until the castle’s demise in the sixteenth century. In 1171 the castle passed into the control of the crown (under Henry II) and subsequently £20 was spent repairs there and other works. The documentation does not suggest that this was a result of any attack, as repairs were quite frequent being recorded between 1195 and 1212, however it is fair to point out that at this time the area witnessed some quite turbulent events so it remains an issue open to interpretation. We do know that around Christmas of 1215 the castle (now under King John), was destroyed by a Welsh rebellion led by Llewelyn ap Iorwerth. He had been keen to take advantage of the divisions within the English Kingdom that had been provoked by the King’s attempt at subjugating control not only of the Marcher Lordships but the Welsh themselves. Between 1211 and 1215 the King and Llewelyn were at war. 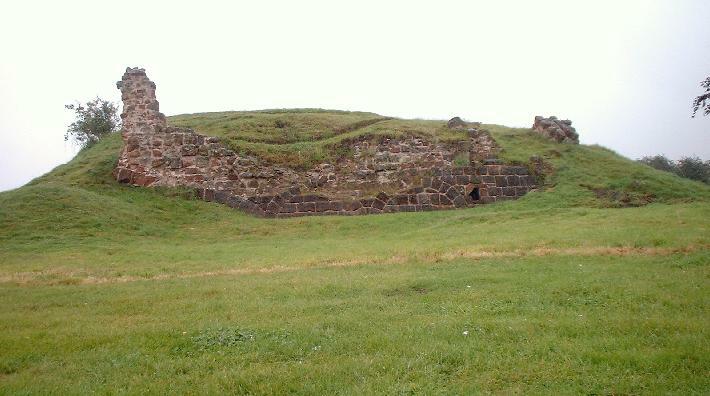 This culminated with the seizure of Shrewsbury castle (Shrawardine possibly being attacked en-route) by Llewelyn, this can also be seen as a factor in the signing of the Magna Carta at Runneymede. The implications of Llewellyn’s rebellion were obviously still felt as late as 1220 the sheriff of Salop being nervously ordered to refortify the castle by making general repairs. 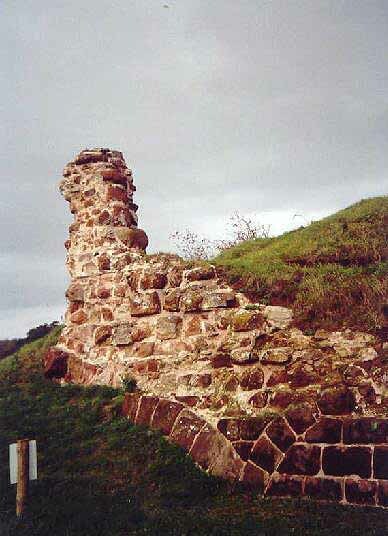 However just nine years later the castle seemed to experience a period of decline, possibly as a result of the subsidence of trouble in the area, with all the castle guard services being transferred to Montgomery castle, indeed no documentary evidence exists that suggests any further work was carried out by the crown. 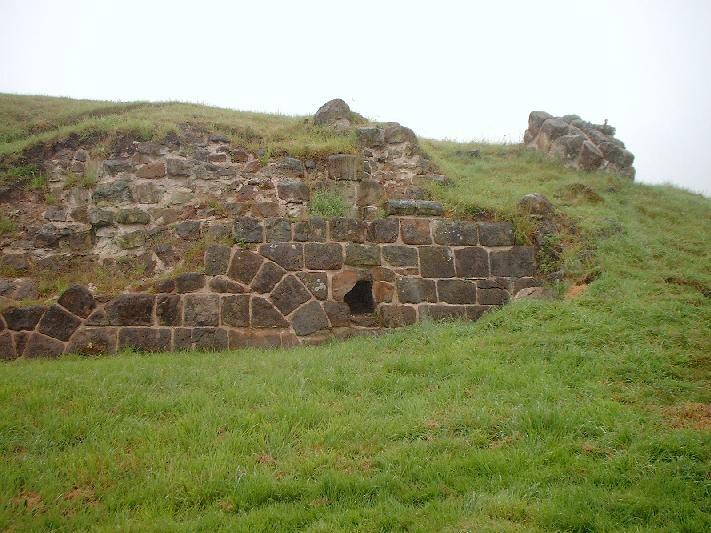 In 1244 the castle was handed over to the Fitz Alan’s who also held areas like Clun since 1150. It is under John Fitz Alan that the castle was rebuilt (suggesting that under this period of decline it had fallen into disrepair) and renamed ‘Castle Isabel’ in honour of his wife Isabel de Abinbi, Fitz Alan later died in possession of the castle. When one takes a walk around the remains, its clear to see that the forces of Cromwell did a pretty effective job and what with the passage of time all that is left to see now is a mere hint of what would have been a classic Norman design comprising of an oval shaped motte with some fragments of a shell keep at the summit and a rough U shaped bailey to the south east. The fragments of masonry reveal little of the architecture of the keep, although there appear to be a trace of a pattern within the stonework. 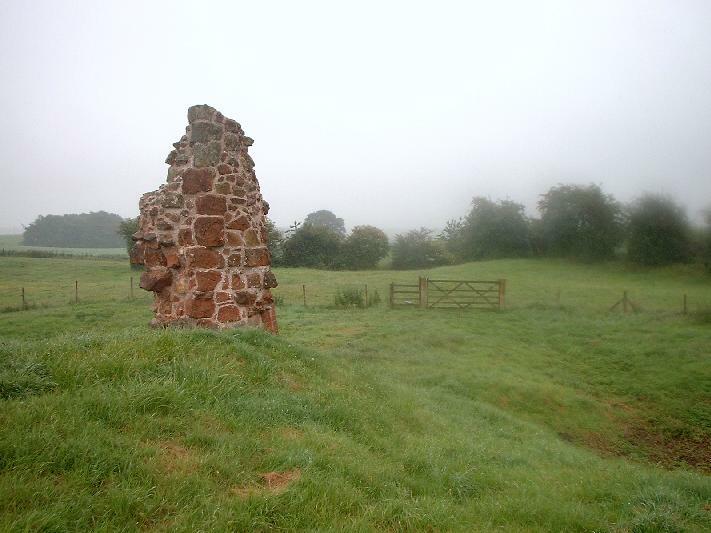 In the past year the people of Shrawardine have resurrected their local monument through their Montford Parish Millennium Green Trust, in which they have used the remains of the castle as the focal point for their village green. An environmental garden is completed with some pleasant benches which face the remains so the one can sit here on a warm day and think back to when this area was a significant stronghold in the troubled eras of the Welsh Marches. Jackson, Michael, Castles of Shropshire, Shropshire Libraries, 1988. Davies, John, A History of Wales, Penguin, London, 1990. Golding Brian, The Normans in Britain, 1066-1100, Macmillan, London, 1994.